We are less than 7 days away from the Super Bowl — who else is counting down? In keeping with my Easy Super Bowl Appetizers of late, I present: Spicy Thai Chicken Wings. I of course had chicken wings in mind for one of this week's posts and was excited to get an email from Epicurious highlighting several recipes for wings. 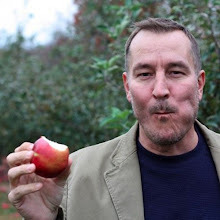 I chose the following variation based on it's simple preparation and powerful punch of flavor. 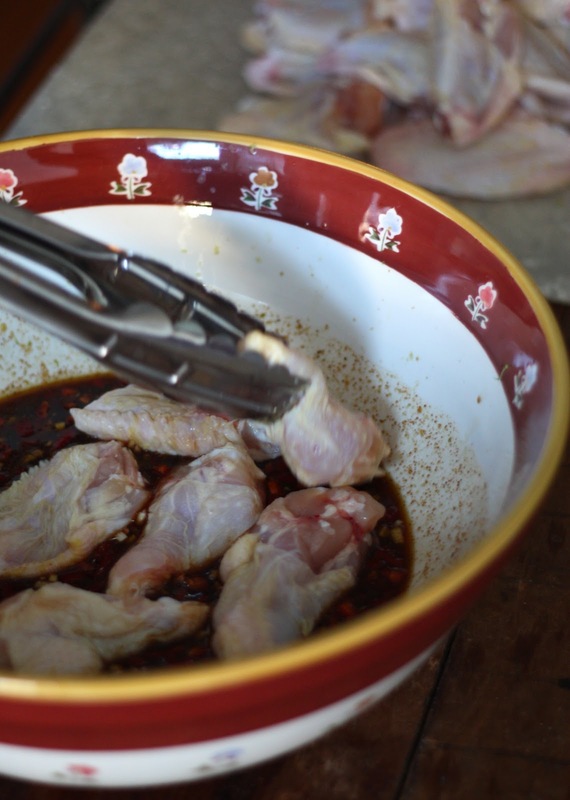 To create "chicken wings," cut off wing tips and discard; then cut remaining wings in half to achieve the minier versions of drumsticks and wings. For marinade, combine remaining ingredients in large bowl and wisk well. It really is best to coat these wings and let them marinate overnight. Turn the wings in the sauce several times while they are marinating. You can certainly grill these outdoors over hot coals, turning frequently until done —15 - 20 minutes or until the juices run clear. I baked mine in the oven for 20 minutes at 400 degrees. I then moved the rack up and broiled them on low, keeping an eye on them and turning once in 10 minutes. No additional sauce required for these wings but you will need a stack of napkins close by! 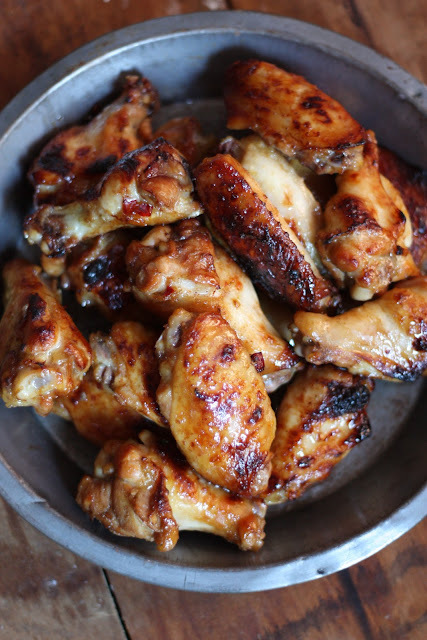 It just wouldn't be a Super Bowl without wings — this year, skip the takeout versions and make these easy, tasty, and different take on the classic. Coming Wednesday you are going to have to roll your sleeves up to eat the sandwiches I have coming your way. What is your go to app for the big game? Yowza! These look great. Thanks so much for sharing! Now I just need to get some fish sauce... from what I understand it should already be in my pantry anyway. Faith yes it should already be in your pantry. BTW, once opened stick it in the fridge or it will get extra um fishy. Thanks again for visiting! Oh yum, these sound wonderful! I need more wings, stat! Thanks Michele for stopping by! Looks like a recipe I will be making a lot! Thanks for sharing! I have to eat gluten free and am always looking for NORMAL recipes I can adapt to this diet. By using gluten free soy sauce this recipe will definitely be a hit.